For all fish lovers, here is a delicious recipe for fish which pairs best with steamed rice. 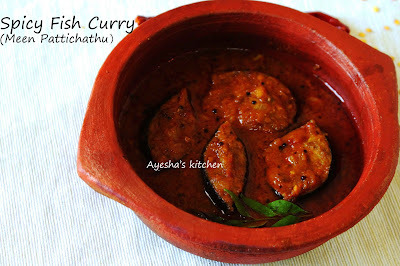 Really, i must say the best fish recipe ever that can make your lunch meal delightful. 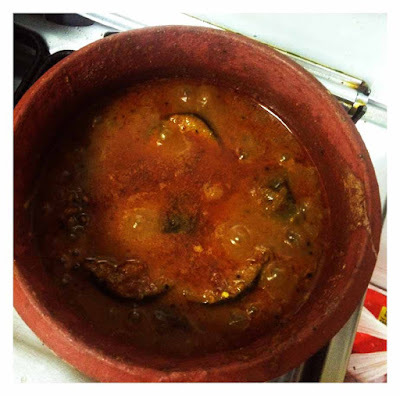 You can also make fish head curry recipe the same way. Having curried fish is good for health. 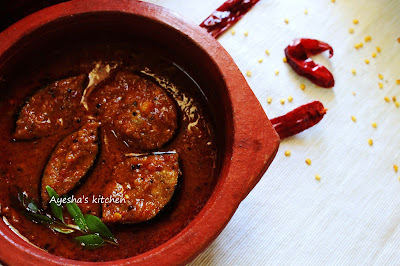 This delicious meen pattichath / vattichath is a very popular and common curry among Keralites which is usually prepared in earthen pots or Manchatti, makes it more flavorful. So here is the recipe for yet another fish recipe / spicy fish gravy. Do try and hope you all will love this for sure. 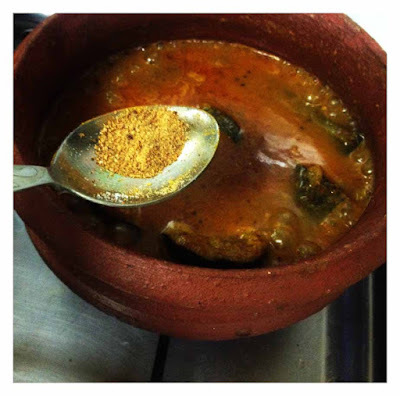 Marinate the cleaned fish slices with few pinches of turmeric powder and salt. Set aside. Soak the dried red chili in water and set aside. 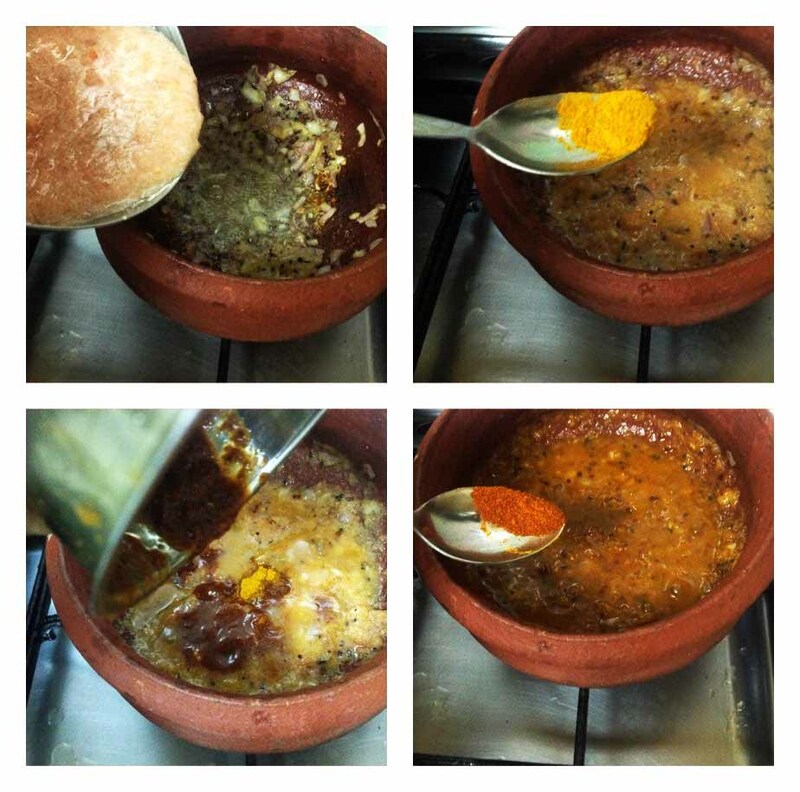 Heat a clay pot or manchatti with oil / coconut oil . Splutter the mustard seeds and fenugreek seeds. To this, add sliced shallots and saute well until soft. When done, add the crushed ginger garlic and saute until raw smell disappears. Now add the pureed tomato and combine very well. Let it cook for few minutes. Now grind the soaked dried red chili to a fine paste and add it along with turmeric powder and red chili powder. Give a fine stir. Let it cook for two minutes in a low flame. 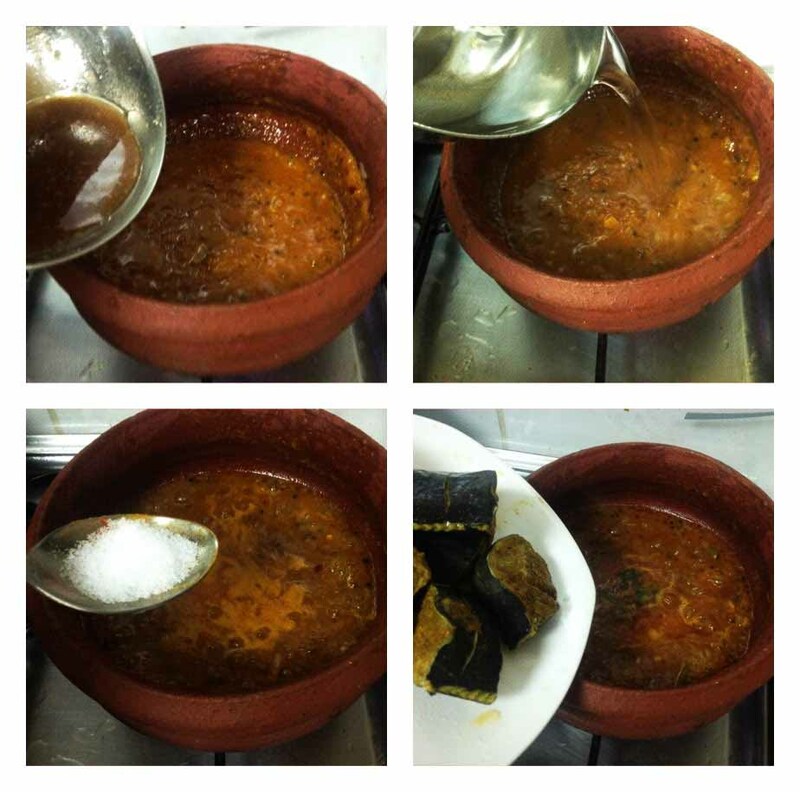 Add in tamarind water along with a cup of water, add required salt and allow it to boil. 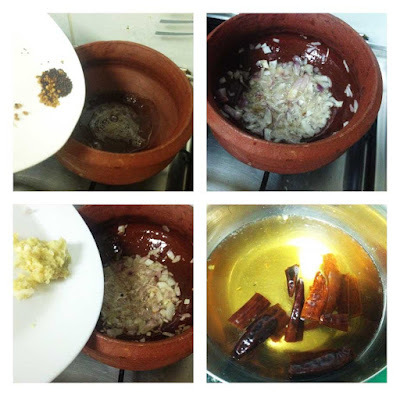 Once it starts boiling, check for salt and add the curry leaves along with the marinated fish slices. Cover and cook on a medium flame for few minutes or until it thickens. Finally, add the fenugreek powder and swirl the pot instead of stirring. You can also season this gravy with fried shallots or can simply drop a tbsp of hot coconut oil for enhancing the flavor. Serve after few hours for the best result. Pairs best with steamed hot rice.